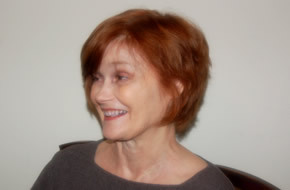 Kelly Cherry is the author of nineteen books of fiction — both novels and collections of stories — poetry, memoir, essay, and criticism. Her works include The Exiled Heart: A Meditative Autobiography (Louisiana State University, March 1981), and her most recently published books, The Retreats of Thought, a book-length sonnet sequence (LSU Press, November 1, 2009), and Girl in a Library: On Women Writers & the Writing Life (BkMk Press of the University of Missouri-Kansas, November 16, 2009). Cherry has also published eight chapbooks and translations of two classical dramas. Cherry’s short fiction has been reprinted in Best American Short Stories, Prize Stories: The O. Henry Awards, The Pushcart Prize, and New Stories from the South, and has won three PEN/Syndicated Fiction Awards. In 2000, her collection The Society of Friends: Stories received the Dictionary of Literary Biography Award for the best volume of short stories published the previous year. Born in Baton Rouge, Louisiana, Cherry earned a B.A. from Mary Washington College and an M.F.A. from the University of North Carolina at Greensboro. She was Eudora Welty Professor of English and Evjue-Bascom Professor in the Humanities at the University of Wisconsin, Madison and retains those titles. Cherry lives on a small farm in Virginia with her husband, Burke Davis III, and is currently at work completing a new book of stories, as well as working on a book of poems. Derek Alger: Let me start by asking you to elaborate on your belief that, for a writer, beauty and knowledge begin in the same place. Kelly Cherry: Keats’s notion that truth and beauty are the same is, I think, always the case for a writer. Definitions and examples of either are necessarily broad, but both begin in wonder (as does philosophy) and evolve from there. It’s especially easy to see (if not always demonstrate) how language can move into truth and beauty, but I believe the two are twinned in any thoughtful endeavor — visual art, music, science, architecture, mathematics, and so on. KC: The book argues that life and literature are intertwined and goes on to illustrate that with examples from literature and from my own life. There are memoirs about my mother’s father, who was a sawyer in Louisiana, my mother, a semester I spent at the University of Tennessee in Knoxville, and so on. Other essays discuss the shape and arc of the writing life, other writers’ work, and the nature of writing. DA: You have written a number of essays on exceptional southern women writers, such as Eudora Welty and Elizabeth Hardwick. KC: Yes, there are several essays about women writers in the book. I met both Eudora Welty and Elizabeth Hardwick, though the meetings were brief. Bill Stafford once set up as a choice between role models the writers Welty and Katherine Anne Porter and said, “Be like Welty.” His point was how to live a literary life, not a dismissal of Porter’s work (both of them are great writers). Someday I’d like to write about Porter– and Elizabeth Spencer, another astoundingly terrific female story writer. But first I have to finish more of my own work. DA: Would it be fair to say you were somewhat rebellious during your college years? KC: Of course. Though I didn’t think of myself as rebellious, not at all. I was asking questions, and it turned out that at that time and place asking questions was incendiary. DA: You published your first work of fiction, Sick And Full Of Burning, followed the next year with publication of a collection of poetry, Lovers And Agnostics. KC: I was always interested in language and character, which meant poetry and fiction. I did at first think of playwriting and wrote a couple of verse plays but I didn’t have the temperament or patience for collaboration, and play usually involves collaboration. I never thought it was strange to do both poetry and fiction; many Southern writers do both, and my teachers did both. Nonfiction came later for me, because I felt that it required a habit of authority that I didn’t have. But now I love writing nonfiction too. Lovers And Agnostics was, I now see, a book in which I knocked on various doors, wondering where I, as a woman, could enter the poetic tradition. I think I handled novel structure in my first novel pretty well, but it was my second book of poems, Relativity: A Point Of View, that gave me my prose sentence. I said “language and character” above, but I often thought of both of those in terms of music. I doubt I can explain what I mean. I guess I’ll just mention that two early influences on me were Shakespeare and Beethoven. As string quartet violinists, my parents liked best to play the late Beethoven quartets, and my somewhat older brother had read Shakespeare even before I was born and, not yet eight, was given to quoting some of the fiercer lines when he wanted to express dissatisfaction or frustration. DA: You were fortunate to run across some noted and generous writers as teachers when you earned an MFA at the University of North Carolina at Greensboro. KC: Fred Chappell was there. Robert Watson. Allen Tate. I had Tate for literary criticism and a poetry workshop. Guy Owen. Randall Jarrell. Peter Taylor. I was too shy to sign up for Taylor’s fiction workshop, but I gave my little stories to Fred and he took them to Peter, who always made a comment that Fred always relayed to me. Not at UNCG, but more or less present anyway, were George Garrett, Henry Taylor, and R.H.W. Dillard, all of whom I had met while doing graduate work in philosophy. Poets William Pitt Root and Harry Humes were in my class. The poet Gibbons Ruark was a young instructor. Eudora Welty, Carolyn Kizer, X.J. Kennedy were among the visiting writers. It was a lovely time to be there. Everything was just getting going. We knew nothing about contracts or agents, and in our ignorance felt free to aim as high as we wanted. Lawrence Judson Reynolds started The Greensboro Review with Bob Watson’s guidance. DA: Perhaps you can comment a bit on The Exiled Heart: A Meditative Autobiography. KC: In January, 1965, I went to the Soviet Union, prompted by my love of Tolstoy, Dostoevsky, Chekhov, Turgenev, Pasternak, and Gogol. What I found, obviously, was a very different world. In a coffee shop in a hotel in Moscow, I struck up a friendship with a Latvian composer. I scribbled some of my lines on a paper napkin for him, and he played a tape of his first symphony for me. We wanted to get married but had no idea how to make it happen. I returned to the states and went to UNCG. Time elapsed. Our friendship began to seem like a daydream. I met a young artist and married him. My Latvian friend married. Ten years later we were free to resume our correspondence and I returned to the Soviet Union to visit him. He informed the chief of the Musicians’ Union that he planned to marry me. Spies came out of the woods. He was threatened. I received scary phone calls in the middle of the night. When I left there, for England, our correspondence was censored. He was interrogated repeatedly. Senator Mondale wrote me a letter that was instrumental in the progression of our friendship. All this is in The Exiled Heart. What I also tried to do in The Exiled Heart was ask questions: What does it mean to love someone? What is the individual’s relationship to the state? What is the best relationship between state and art? What is justice? I think somewhere in the book I called it a “moral travelogue,” and that’s pretty much what it is. DA: Although you have never written a travel essay, the essays in Writing The World are very much about the importance of place in a person’s life. KC: Well, for one reason and another I’ve traveled a fair amount, not on anybody’s expense account; just for personal reasons. Traveling is a form of self-interrogation and also requires constant repositioning of one’s ideas about the world. Something new comes at you — or you go to it — and you’re obliged to reconcile the new information with your former view of the world. My work before I began to publish tended toward the interior. Yet, I believe that a writer must also pay attention to the external world. I like to think I’ve become better at that. The world is where we meet and what we share. I am fairly often experimental, but I am not postmodern; I don’t believe we change our personalities and perspectives every minute of every day, though we all know well that changes accrue over time. Time, as Thomas Mann said, is what the novel is about. We have to be in the world to experience space and time. DA: You sort of stumbled into teaching writing. KC: For some reason I assumed: (a) I couldn’t teach without a Ph.D., and (b) I also couldn’t teach because I was too shy. There were hardly any writing programs at the time, so I must have thought that to teach meant to teach an academic discipline, and I hadn’t finished the Ph.D. program in philosophy at the University of Virginia. As for the shyness, it dissipated, but not until I was pushing forty. DA: What did you do to earn your keep? KC: I worked in Richmond at the Presbyterian Board of Education and as a letter writer for the Christian Children’s fund, which was, perhaps, not so Christian, and in New York City as writer or copy editor or managing editor at Behrman House, a publisher of Judaica, Harper & Row, Dutton, and Scribner’s. At the trade houses, I was in Children’s Books — as a result of the first job I took — which meant I didn’t typically meet publishing folk who could help me get started as a writer, although the writer Abraham Rothberg used an office at Behrman House and directed me to send a story I’d written to Commentary, which took it. My literary relationship with Commentary has been one of the blessings of my life. Also in New York, I taught emotionally disturbed middle-school and high-school children at a small private school for the same. And I tutored. My first college teaching post was at Southwest Minnesota State College (now University), a lovely place where able-bodied kids received funds for helping disabled or differently-abled kids. It gave a wonderful flavor of kindness to the whole place. DA: How did you end up at the University of Wisconsin? KC: I was living in England with my parents, who had chosen to retire there. I was a citizen of one country, living in a second country, trying to get a visa to a third country to get married. I had only a little bit of money left from the paperback sale of my first novel and needed a job. I applied to Cornell, Austin, and Wisconsin. They all required an interview at the MLA. I didn’t have the dough to fly over and back and, maybe, back again so I had to pass by those opportunities. Then one day I received a call from the University of Wisconsin asking if I’d come for a year as a visitor. I said yes. Later I learned that, like Cornell and Austin, they had scratched me off the list because I wasn’t available to interview, but then the dean dragged his feet about funding. By the time funding came through, all the other candidates had been hired elsewhere. Ron Wallace said to the department, if we’re hiring blind, why not hire our original first choice? So I wound up in Wisconsin. The University was not a happy place, and not a good one to be in, either, but Ron was a great colleague, and together we started the writing program. KC: Some very lovely ones, though when I used that phrase I was referring to the teaching-grant-colony-agent-publisher-blurb merry-go-round that can be exhausting and debilitating. But yes, absolutely, there are always wonderful writing friends ready to help someone out, and publishers and agents who are insightful and caring, and jobs and grants and colonies that reward writers in their various ways. For example, I think of my longtime association with Louisiana State University Press, which has been nothing short of a lifesaver. I think of Ben Furnish, the editor of Girl In A Library, who devoted time and attention to the book and a happy and positive attitude to the author. I think of friends like William Jay Smith, Fred Chappell, R.H.W. Dillard, Henry Taylor, David R. Slavitt, Abraham Rothberg, and the late great George Garrett, one of the liveliest men who ever lived. One tries to pay back by helping other writers however one may. DA: You recently spent some quality time doing research for a project in which you are excitedly involved. KC: I was at the Institute for Advanced Study in Princeton this summer, working on a long poem and doing research. It was amazing. They gave me an apartment, and with free fruit and cookies every weekday afternoon I hardly had to spend anything on food. The apartment came with a small study with windows that took up most of two walls. The windows looked out on a green ocean of trees. I had access to the library and the Archives. And everywhere were these incredibly beautiful, often exotic, small children, all with perfect teeth and, I don’t doubt, astronomical IQs. With whole days free — sequences of whole days — I was able to concentrate intensely. This is a long poem that, like most American long poems, is made up of smaller poems. Right now most of the poems act like placeholders. It will take me another year or two to revise them into, I hope, real poetry. Meanwhile I have other books underway. I work on one manuscript for awhile, set it aside to simmer, work on another, set that aside to simmer, then return to the first. ‘Simmer’ is purely a metaphorical term; I don’t cook. This was not a method I devised; it just happened, I think because I need a lot of time to recognize and realize all the potential of a book. The nice thing about the method is that after one’s been doing it for several years, it turns out that something is almost always nearing completion.